Jennifer Kuhn's has been creating fine art mosaic for 16 years. Her work ranges from strikingly realistic to decorative, highly-designed pieces inspired by world mythology and folk art traditions. She has been featured in many exhibits and galleries, and her architectural mosaic is installed on walls and floors throughout the country, with one floor entryway in Banff, Canada. 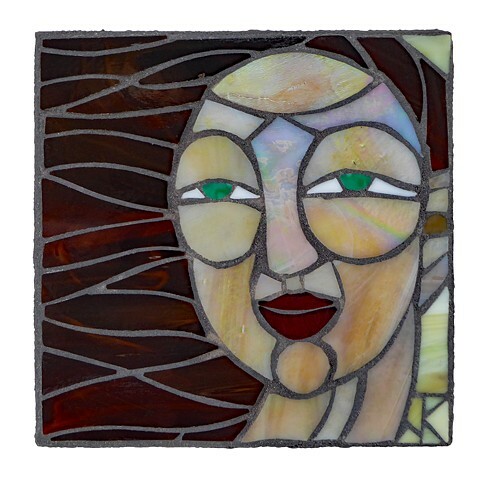 Jennifer works with tile, stone and stained glass, carefully shaping each piece for assemblage into stylized, exquisite mosaic art. Her public art and community projects demonstrate a rare ability to engage, educate and create community with all ages and socio-economic groups. She also creates custom mosaic for corporate and private spaces. She lives and works on a small farm in rural Western WA, and teaches a weekly mosaic class for at-risk teens in Shelton, in addition to offering workshops for mosaic artists in the Pacific Northwest region and beyond.